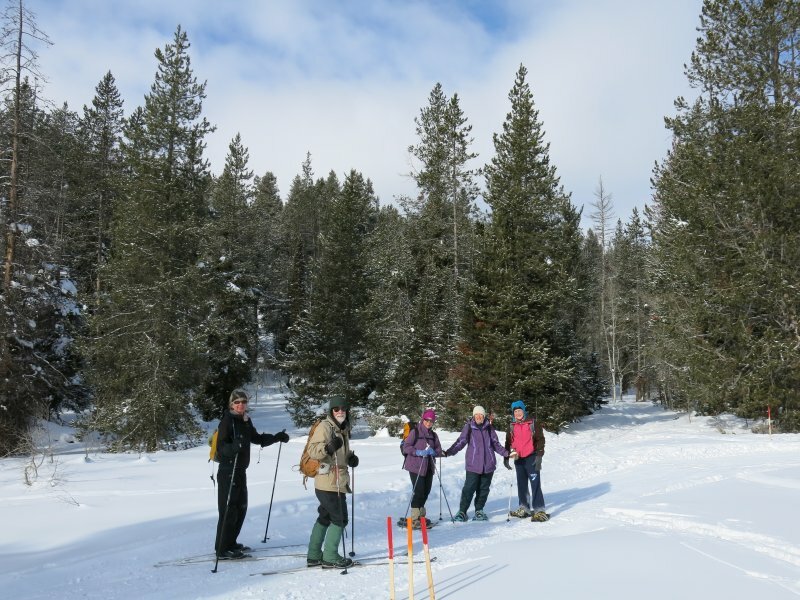 Six Cache hikers enjoyed a ski/snowshoe trip to Sink Hollow on Sunday, January 13, 2013. 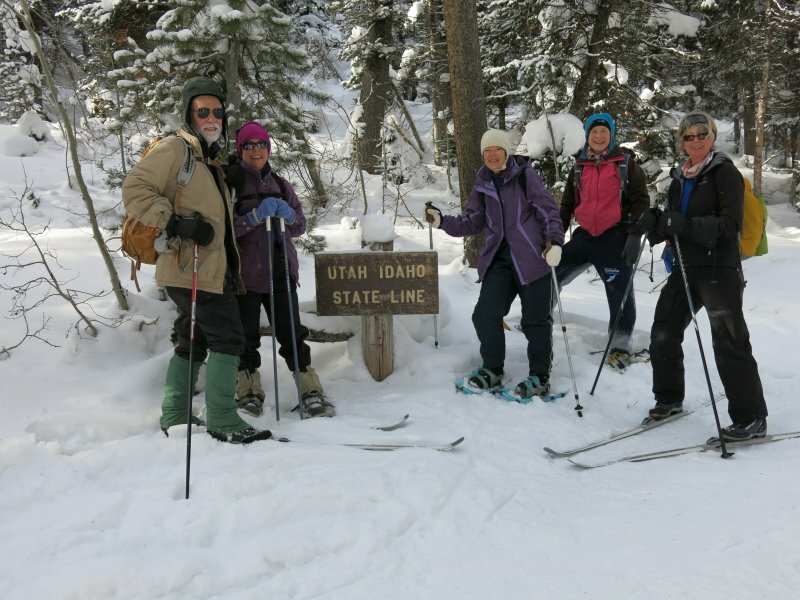 Skiers Dave P., Dave W. and Christine joined snowshoers Kathy, Anna and Jeanne on one of our favorite winter outings. The weather was cold, as expected, but skies were sunny, with only a few clouds. We started out from the Sink Hollow Winter Trailhead just before 11:00, following the freshly groomed cross-country ski trail much of the way (Nordic United had groomed it the day before). We ate lunch from about 12:30 to 1:00 in a sunny spot near the sinkhole, but not until after we had gone a little farther up the trail to the Idaho border, our usual turn-around point for this excursion. 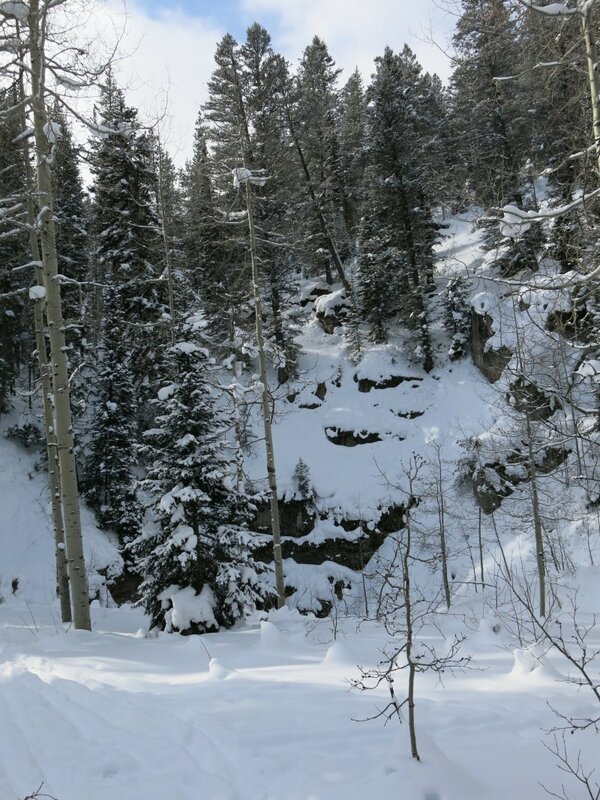 The cold (19 degrees) weather encouraged us to head back without any further delay, making for a 2:00 departure from the trailhead and a 2:40 arrival in Logan. We stayed well back from the edge of this sinkhole!